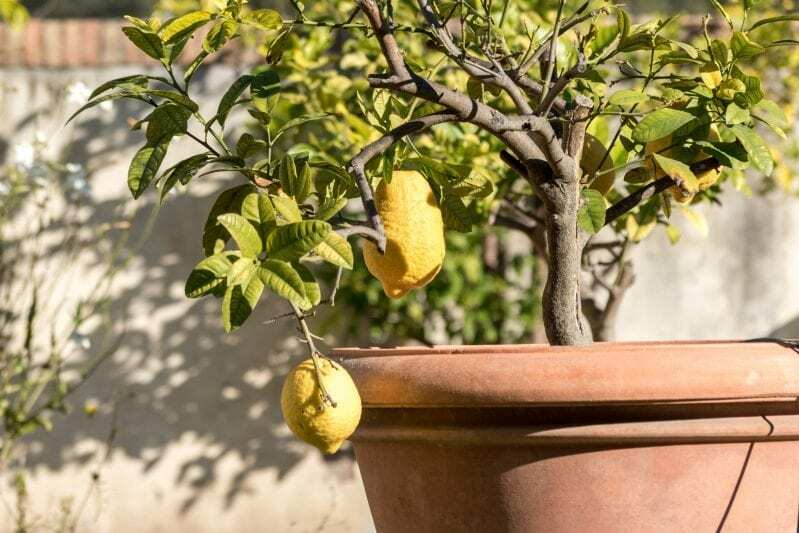 When choosing a citrus to grow on your patio look for a verity that will thrive in a pot with potting soil. 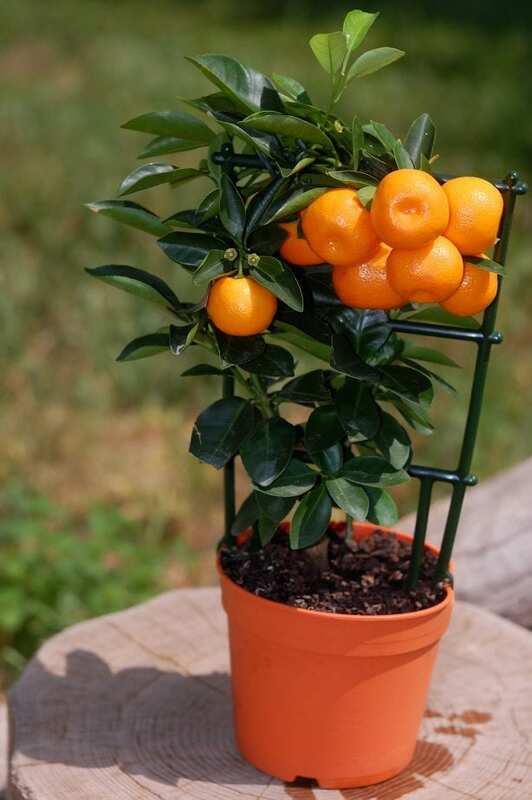 Dwarf varieties and generally small citrus will do best grown in pots on your patio. 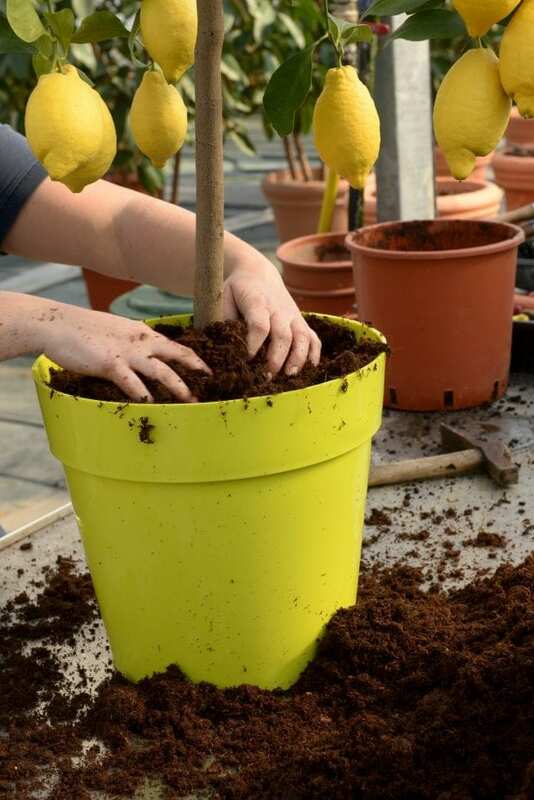 Meyer lemons are one of the most popular patio citrus options because they grow relatively well in a large pot. Start with a very large pot so you can go longer before you need to re-pot your tree. Choose something bright and cheerful or find a pot that blends well with your decor. When you place your citrus out on your patio choose and area that gets plenty of sun. Citrus trees (such as lemon trees) love full sun so aim for the space that gets a minimum of 8 hours of sun each day. The more sun the better. When your citrus tree moves indoors park it in a warm spot near a south-facing window where the most sun comes in. If a grow light is an option for your home you can install a grow light to help your citrus thrive during the winter. Citrus blooms in the winter so you will need to hand pollinate your citrus plants to help them produce fruit. This can be done relatively easy by using a paintbrush and going flower to flower. If you have several plants and need a faster option you can purchase a wand designed for pollinating your plants. 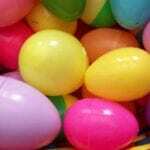 Fertilizer is important during the growing season for your citrus. 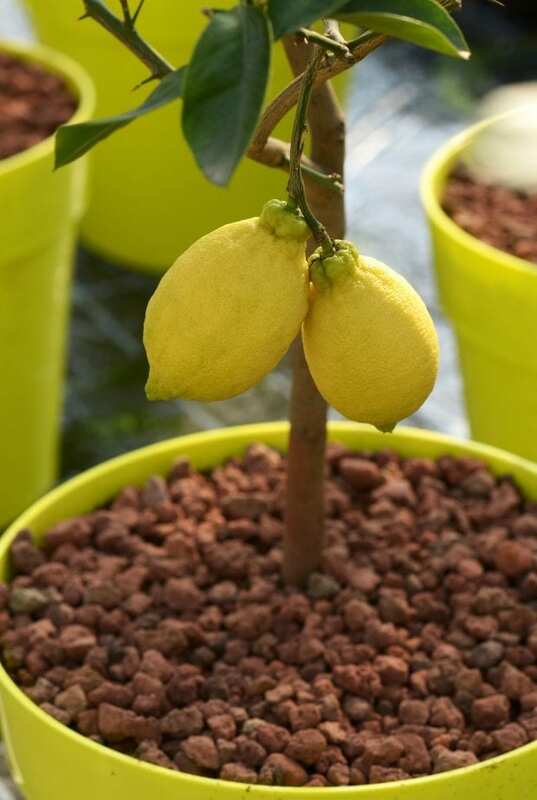 Treat your citrus plants with an quality organic fertilizer between March and August to help encourage new growth. 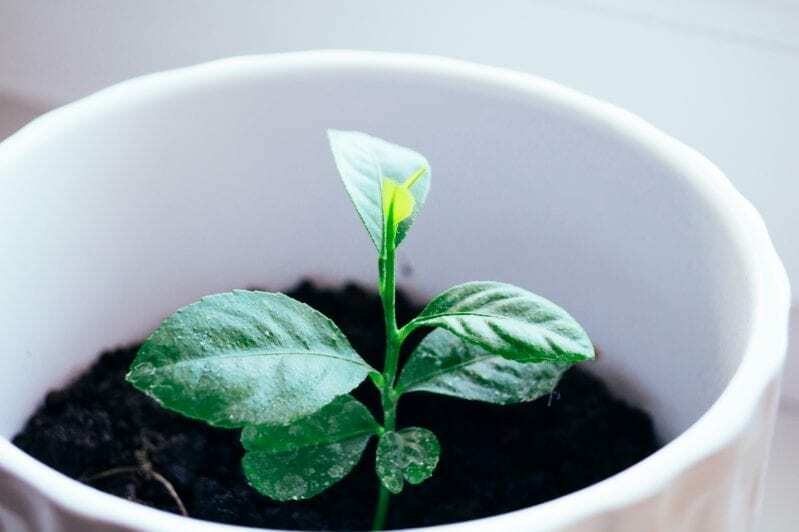 When moving your plants indoors in the fall or back outside in the spring you may notice it loses a lot of leaves. 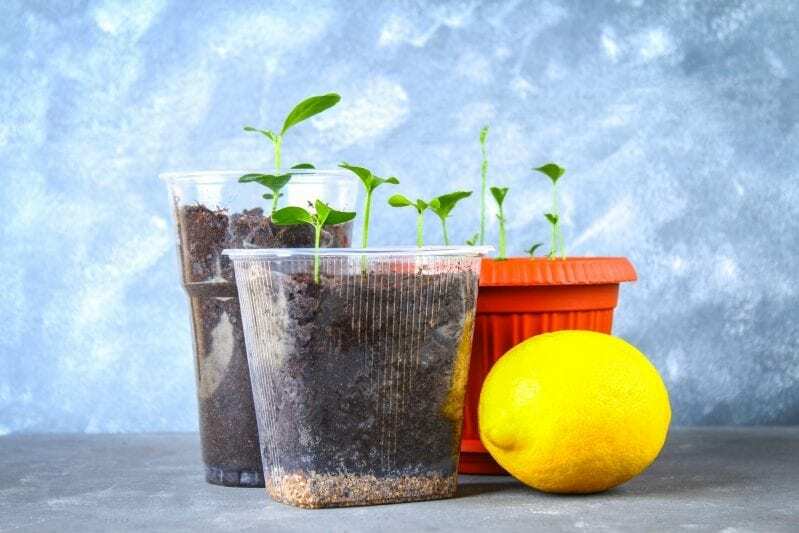 Do not stress over this it is a natural way your citrus adjusts to the change in light and it will grow fresh new leaves that are more suited to the changes in light. If you want to avoid this use a strong grow light when indoors. 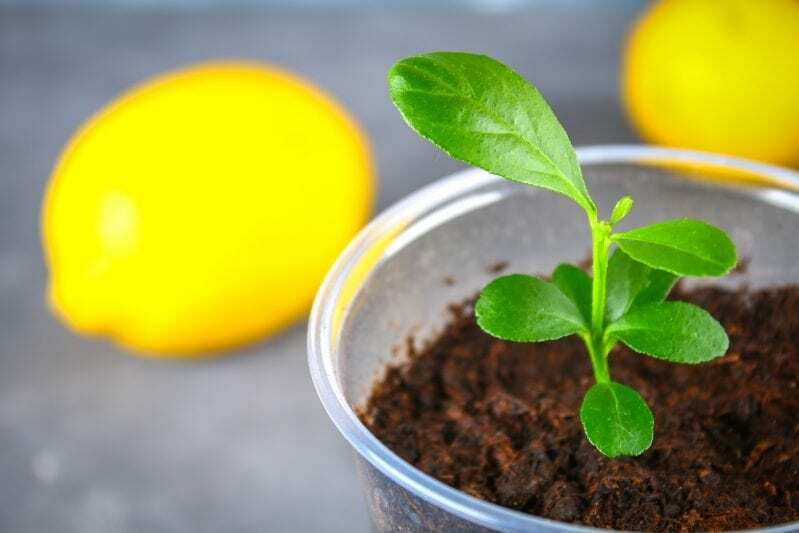 Now, be sure to pin this post so that you can come back for a reminder as your citrus plant is growing!